Australian independent oil and gas company Woodside said Wednesday it has awarded four contracts for front-end engineering design (FEED) activities for the proposed US$11 billion Scarborough Project offshore Western Australia. Each contract was awarded and will be funded initially by Woodside on a 100% basis, without financial support from 25% joint venture partner BHP. McDermott Australia Pty Ltd has been awarded a contract to undertake engineering studies for the floating production unit, which includes the option to progress to an engineering, procurement and construction contract for execute phase activities. Subsea Integration Alliance, a consortium between OneSubsea Australia Pty Ltd and Subsea 7 Australia Contracting Pty Ltd, has been awarded a contract to undertake engineering studies for the subsea umbilical risers and flowlines, with the option to progress to an engineering, procurement, construction and installation contract for execute phase activities. Saipem Australia Pty Ltd has been awarded a contract to provide export trunkline engineering support services with an option to execute line pipe coating and installation activities. Intecsea Pty Ltd has been awarded a contract for export trunkline engineering. 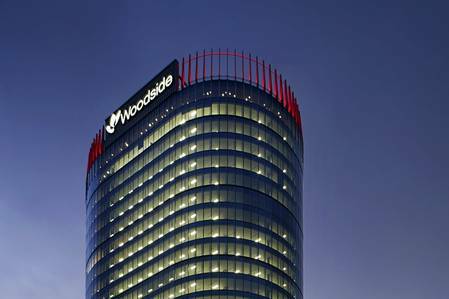 Woodside CEO Peter Coleman said the award of these contracts support the project schedule and Woodside’s targeted final investment decision (FID) for the Scarborough Project next year. Each contract includes an option to progress to execute phase activities, which is subject to, among other conditions, a positive FID being taken on the project by the Scarborough joint venture. “We have made good progress since announcing last year that we had increased our stake in Scarborough. The award of these contracts brings us closer to unlocking the Scarborough resource,” Coleman said. Woodside’s preferred concept for development of the 7.3 Tcf (2C 100%) Scarborough gas resource (Woodside 75%) is through new offshore facilities connected by an approximately 430 km export pipeline to the Burrup Peninsula with onshore processing at the expanded Pluto LNG facility.